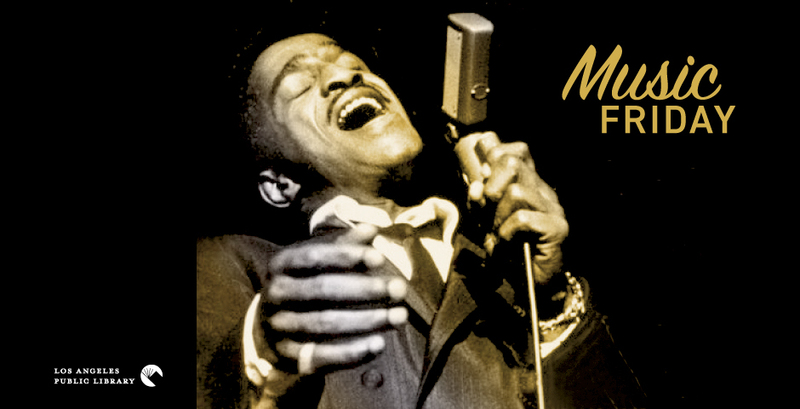 Music Friday: Sammy Davis, Jr.
Sammy Davis, Jr. was born on December 8, 1925. Davis was a singer, dancer, and actor whose show business career spanned most of the 20th century. His parents were both dancers in vaudeville, and when they separated, Davis's father took Sammy on tour with him. Davis, Sr. was part of a dancing act, the Will Mastin Trio. The members of the Trio taught Sammy to dance, and he learned quickly; he was soon appearing on stage with them. By the time he was seven, he'd made his first movie, a 20-minute short called "Rufus Jones for President," in which he plays a child who is elected to the White House. Davis officially became part of the Trio at the age of 15, when Howard Colbert left the group for military service during World War II. Davis joined the Army himself in 1943, and was assigned to Special Services, the entertainment branch of the military. Special Services was one of the few integrated parts of the military, and Davis would later say that his time in the Army was his first real experience with racism. His father had been very protective of him, doing his best to protect Davis's innocence about the world's harsher realities. Davis later said, "It was as if I'd walked through a swinging door for eighteen years, a door which they had always secretly held open." Davis returned to performing with his father and Mastin after the war. He remained loyal to them, even as he developed a solo career. The Will Mastin Trio frequently appeared as a part of Davis's performances, and he continued to dance with them whenever possible for another twenty years. The Trio was appearing at the West Hollywood nightclub Ciro's (the building is now The Comedy Store) in 1951. What was supposed to a be a 20-minute opening act stretched to an hour as Davis dazzled the crowd with his dancing and singing. They were particularly impressed by Davis's gift for impersonation, which he would later showcase in a 1962 album. The Sammy Davis Jr. All-Star Spectacular features Davis singing in the voices of, among others, Bela Lugosi, Tony Bennett, Ray Charles, Mario Lanza, and Huckleberry Hound. Davis was nearly killed in an automobile accident in 1954, in which he lost his left eye. He wore an eye patch for several months—he was still wearing it during the photo shoots for his first album—before being fitted for a glass eye. That album was the start of a prolific recording career. Davis averaged two albums a year for the next twenty years. Had he come along a few years earlier, he'd probably have had dozens of hit singles, but his style wasn't really a fit during the first decades of rock music. He did have an occasional minor hit, though, and his last hit record was his biggest. "The Candy Man" unexpectedly became a #1 hit in 1972. Davis was more at home on Broadway, where he starred in two musicals, Mr. Wonderful in 1956 and Golden Boy in 1964; and in Las Vegas, where he was a headliner for decades. He was part of the "Rat Pack," a group of performers that included Frank Sinatra, Dean Martin, Joey Bishop, and Peter Lawford. They were enormous stars in Las Vegas in the early 1960s, performing on their own and as a group. Shawn Levy writes about the Rat Pack years in Rat Pack Confidential (e-book | print). The Rat Pack teamed up in various combinations to make several movies; the most successful was the original version of Ocean's 11, which features all five of the group's core members. Davis appeared in about thirty movies, but rarely in a starring role. He would be brought into musicals to do one or two big numbers, as he was in the film version of Sweet Charity; he'd re-team with his old Rat Pack friends as part of large ensemble casts, as he did with Dean Martin in Cannonball Run; and by the end of his career, he was a big enough celebrity that he frequently did cameo appearances as himself. During the 1970s and 1980s, Davis was a popular guest on talk shows and variety shows; his playful charm made him a good fit for game shows, and he even took a recurring role on the daytime soap opera One Life to Live. Perhaps his most famous television appearance was on the sitcom All in the Family, where, playing himself, he gave the show's main character, the racist Archie Bunker, an unexpected kiss on the cheek. Davis was diagnosed with throat cancer in 1989, and died on May 6, 1990. Two days after his death, the neon lights of the Las Vegas Strip went dark for ten minutes in tribute. In Black and White (e-book | print) is Wil Haygood's biography of Davis. Much more of Davis's music is available for streaming at Hoopla.